allergies | and sure stars shining . . .
Poor Auggie has had a rough week with a non-specific skin allergy. He was so miserable yesterday that I begged the vet to see him early, rather than on Monday as planned. He is now on pills to block the itching, and the nearly-raw spots on his skin are looking better today. Poor little guy . . . . 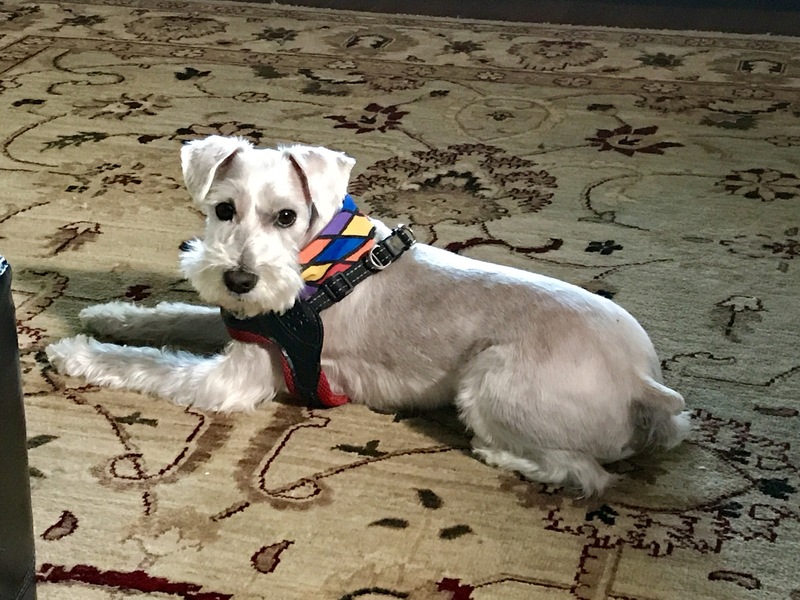 This entry was posted in Augustus Rex and tagged allergies, Auggie the Schnauzer on August 19, 2017 by Jeffrey Carter. I had just quit coughing from the first round, three weeks ago. I wonder what is blooming now? Miserable night. Earworms from The Sweet Smell of Success, clogged nose, and restless. I know that allergies are the price we pay for breathing, but really…..?! This entry was posted in Daily Life and tagged allergies on June 5, 2017 by Jeffrey Carter. The seasonal rhinitis has finally hit. I’ve been miserable all week. And Thursday was the worst yet….. This entry was posted in Daily Life and tagged allergies on May 19, 2017 by Jeffrey Carter. I know that many people have more pressing needs, and I don’t mean to be a pest, but . . . Please, in your mercy, give me my hearing back, and heal this damned infernal nonsense in my right ear? And, if possible, make my allergies stop acting like the beginning of a cold. I’ll do my best to break out of the funk and malaise, but I could really use some help right now. In any event, please give me grace to bear whatever burden I must bear. This entry was posted in Daily Life and tagged allergies, faith, malaise on October 1, 2012 by Jeffrey Carter.